For April’s Fantasy Writer Spotlight (and the A to Z Challenge’s “I” post), I’ve done an interview with fantasy author T.L. Bodine. It was interesting to hear about her various books and how different each of them seem from the other. If you’re looking for an author that tries new and exciting things, you may want to check out what T.L. Bodine’s books. Philip Overby: First, the obligatory “how did you get into writing” question. Did you fall into it or was it always something you were passionate about? PO. That’s a good way to think about writing. It’s really a hobby for people who love having tons of imaginary friends! You must have fallen in love with writing first by reading a lot. Who were some of your biggest inspirations, fantasy and non-fantasy? TLB: I fell into fantasy kind of sideways. For a long time, my favorite books were in the “boy and his dog” vein, and I read them almost exclusively. Then sometime around maybe 5th grade I read Diana Wynn Jones’s book Dogsbody, which was really the first fantasy novel I’d come across, and I was hooked. I also started reading a LOT of horror throughout my teen years, which I think shines through my writing. Today, I think my biggest influences are probably Neil Gaiman, Richard Matheson, Stephen King and J.K. Rowling. PO: Quite an eclectic mix of writers. You also seem to be interested in a wide variety of writing mediums. Being a video game writer must be pretty cool. Can you tell us some about your job with Black Chicken Studios? TLB: It is so cool. I picked up the gig through a writer’s forum — they were hiring for a new game and I thought it’d be fun to give it a shot. The thing about writing for video games is that it’s very collaborative. You get tons of lore, names, mechanics, and other details to remember, and you have to find a way to innovate some new ideas while fitting into that existing framework. You’re playing in someone else’s sandbox, which is actually very rewarding because when you get stuck, you can fire off a question to the editor and ask, “Hey, I’m thinking of doing X, would that even work?” And soon you’re having the geekiest conversation imaginable about this world you’re helping to create. It’s actually very much like roleplaying, just in terms of working within an established world and cooperating to make a story happen. I’ve been with Black Chicken around two years now and have gotten to work on three projects. The first is a big video game sequel to their first game, Academagia, which is about a school for mages. It’s a life simulation, so you go on these adventures and develop relationships with classmates, having to balance your time between classes and extracurricular activities, solving mysteries, learning about the school. It’s an absolutely huge game with a ton of content, and it should be amazing to see in person. The second project is Holdfast, which is an old-school choose-your-own-adventure-style gamebook available in both print and iOS versions, is about a dwarf who’s on a quest to reclaim his home land, acquire riches and exact some vengeance. I know they’ve recently fulfilled all of their Kickstarter copies, but I don’t know if it’s available on the wider market just yet. Keep your eyes out 🙂 The last project…well, that one’s a secret. But let me tell you, it should be a lot of fun when it gets all done! PO: I’m intrigued! Which medium to you find most rewarding for you (video games, novels, short stories, etc.)? TLB: Man, that is such a hard question. I love all of them. Video game writing is certainly the easiest, because there’s accountability and a support group to fall on if you’re unsure how to do something. Writing your own stuff from scratch is a lot scarier. I love that short stories give you a quick rush — sometimes you can start and finish one in a single sitting! — so they feel very satisfying. But there’s really nothing that feels as good as the payoff of wrapping up a novel you’ve toiled over for months or years. PO: I agree. Finishing a novel is a great feeling. You actually have a few under your belt. 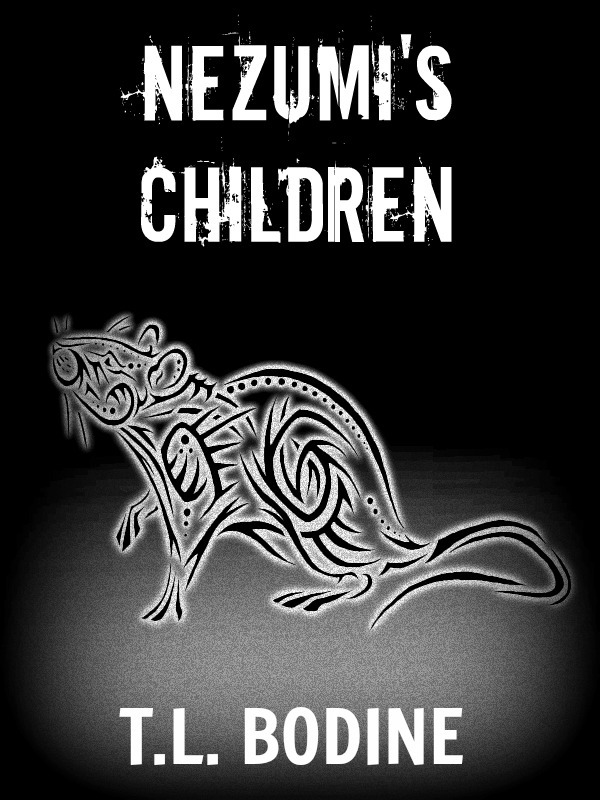 Your description of your novel Nezumi’s Children is intriguing: an adventure novel about rats you could classify as “Watership Down” meets “Lord of the Flies.” What has your experience been working with animals as your main characters? Do you find it more difficult or do you just humanize them to make it easier? TLB: I’ve been doing rat rescue for about 10 years. I guess that’s kind of a weird hobby. I accept that. But anyway — in that time, I’ve had the pleasure of knowing a whole lot of rats, and it was actually watching them interact that sparked the original idea for the book. They’re very political animals, rats. They form relationships, double-cross each other, choose sides in arguments. You’d be amazed at just how complex their social systems really are. So my goal in Nezumi’s Children was to write a book that was as accurate as possible, something that really captured the reality of life as a rat. So wherever possible, I try to avoid humanizing them and try to keep things as immersive as I possibly can. Of course, they’re still humanized to an extent to make them believable, but my feedback from other rat owners so far has overwhelmingly been, “Yes, this is exactly how rats behave.” And I’m really proud of that. PO: You’re the first writer I’ve met that actually used experiences with rats to tell stories about them. I wonder if there are others out there? TLB: I play pretty fast and loose with some of the fairytales in the anthology. 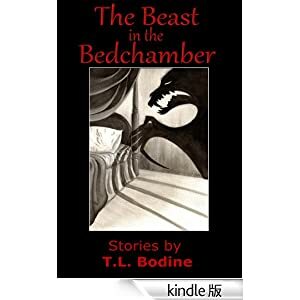 The over-arching theme is pretty much “beastly bridegrooms,” or what you do when the people in your life turn out to be monsters (for varying definitions of ‘monster’). So some of them are very obvious fairytales with a twist (like “Beware the Wolves,” which is Red Riding Hood with a heaping dose of werewolf), and some are more loosely inspired. One that I’m particularly proud of is “Blackwood,” which is a new spin on the Bluebeard story. Instead of a young girl getting married to a rich old merchant, “Blackwood” is about a young gay man who ends up in a complicated relationship with an artist — a really mysterious Banksy sort of guy who turns out to have a lot of secrets. PO: You recently came out with a new book as well. Tell us about your newest release Tagestraum. TLB: Tagestraum got started in 2009 with the question: What if a kid’s imaginary friend stole him away from his unpleasant life, and the only person who could do anything about it was his social worker? From there it grew: What if his social worker had an abusive past of his own? What if solving this mystery causes him to confront the demons of his past — literally? And just what kind of a twisted faerie world is this that kids can be kidnapped and held ransom by nightmares? On one level, it’s sort of a rollicking adventure, a very lighthearted journey through this bizarre faerie realm and in company of some really colorful people. But it’s also a very personal glimpse into abuse, repressed memories and the way that families can fall apart. PO: It seems like you enjoy trying out different kinds of fantasy stories instead of sticking to one type of method. Do you find trying out different styles has been more rewarding for you? TLB: I’m a big fan of innovating and pushing the envelope. If I’m not trying something new, I feel like I’m wasting my time. I want to learn something from every project I finish. Although I will say that while my books seem to have very little in common with each other on the surface, I suspect the same readers will like all of them. Certain themes and methods of approaching characters and situations carry over quite a bit from one book to the next. PO. Since you’re more interested in darker fantasy from your descriptions of your books, how do you feel about “gritty fantasy” or the categorization of “grimdark?” Do you feel like these categorizations help or hinder writers and readers? TLB: I think they can be very helpful, but only if everybody’s on the same page about what they mean. Like, to me, “gritty” means that there’s a level of honesty in the violence. A lot of times, violence in fiction gets sort of romanticized or polished, and characters don’t always face the consequences of that violence. A gritty story would confront those consequences. And that appeals to me. But that’s just my definition of gritty. I think it gets used a lot to mean a lot of other things, like a world that’s bleak and without hope, or a world where everything is just dark and depressing. Which is also perfectly fine, and could make for some great books — but I fear that maybe people are looking for or expecting one type of grit and running into something else entirely. Time will tell if the terms end up sticking a little better. PO. Anything else you’d like to share with potential readers? TLB: I absolutely love talking with readers! Like, seriously, do not ever be afraid to approach me about a question you might have or just to tell me what you thought or whatever. I’m very accessible. And to be honest, it always totally makes my day. PO: Thank you so much for the interview. I’m looking forward to what you come out with next. If you’re interested in picking up any of T.L. Bodine’s work, you can check them out at the links posted above!